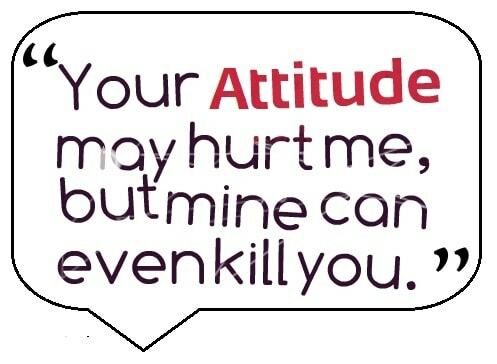 Punjabi attitude quotes are used to express certain attitude at a time. An individual can feel one type of feelings at a time. It can be happy or sad, emotional or truth and love or hate. That’s is why you can express your feelings through Punjabi attitude quotes. Punjabi attitude quotes are unique than other language just because Punjabi has very rich history for Punjabi attitude quotes. Our site can help you to enjoy Punjabi attitude quotes and that will prove what we believe on. This is not new tool to express your feelings but it has a old history which is been used even in modern world no matter one is old or young, still we are using Punjabi attitude quotes to Conway our message to our love once. There are a lot of Punjabi attitude quotes at social media like WhatsApp, face book and web pages in-spite of that we are eager to invite you to check out our site to look for a long list of very enjoyable and touching Punjabi attitude quotes. Hope that will help you a lot. i20 viCh beH k keHNDi i20 wALAa yAaR aW.. Fortuner viCH beH kE keHNdi i20 v kOI cAr Ae. Kal menu rok k khendi.. pyaar naal man ja nahi ta Chak ke leju. !ਰੂਪ ਖ਼ਾਸ NI 10 v paas NI! ਮੁੰਡਾ Sikhari banda…. SaDi ਵੇਖ ਕੇ ਚੜਾਈ…DiL ਘਟਦਾ ਕਿੳੁ TeRa….TeiNu ਕਿਹਾ C ਨਾ ਬੀਬਾ….TiME ਆਊਗਾ ਨੀ MerA.. MeRe ਵਰਗੀ ਹੋਰ MiL ਜੂ ਝੱਲਿਆ ਏ TeRA ਵਹਿਮ ਏ,,.Single ਪੀਸ ਬਣਾਇਆ RabB ਨੇ, ਉਹ ਵੀ ਪੂਰਾ ‪kaim‬ AE..
ApnE ਅਸੂਲ ਕੁੱਝ ਇਸ ਤਰ੍ਹਾਂ ਤੋੜਨੇਂ PaYe…ਗਲਤੀ ਉਸਦੀ C …ਹੱਥ MeiNu ਜੋੜਨੇਂ ਪਏ!!! ਜੱਟ da DMag te ਪਿੰਡ de jwak, ਜੇ vigad ਜਨ ta bht made hunde aa..
Tanu Pyar ta Bahut Karda ha .. Par Dooji hor Nu PATA na lagg jave ise To Darda Haa…??? ਸੁਖ Wele ਫੋਟੋ, ਦੁੱਖ Wele Status, ਹਰ Wele Online Shonk Jatt Da!! Payar V Kardi Aaa… ਪਾਰ ਮੇਨੂ ,Dasdi Ni ….. ਮੇਰਾ Status V Like Kardi ਹੈ… ਇੱਕ … Per fasdi Ni…? Jo Asar Aa Teri Akh De maar ander, na ਓ ਤੀਰ te na talwaar andar…. Ja viah karwa Lai jithe ਦਿਲ karda sathon mintan teriyan honiya ne..
ਹੇ ਸਿਰਫ਼ Risde jakhma utte malam jeha E, marjani de ਗੀਤਾ nu likhdi ਕਲਾਮ jeha E…..
Assi ਚੇਤਕ Utte Beh k Lai lainde Felling caraan Di..
ਮੇਰਾ ਦਿਲ, Te Nain dono ਰੇਹਨ dullde …. ਤੇਰਾ ਪਿੰਡ, ਤੇਰਾ ਨਾਮ dono nhi bhullde..
Jo Time ਪਾਸ C ਤੇਰੇ lyi .. ਓ ਪਿਆਰ Bann gya Mere lyii ..
Koshish tan Mai bahut kiti C, ਪਾਰ ਤੇਰੇ kabil nahi bn ski .. !! ਮੇਰੇ DIL ਦਾ ਏਹ ਚਾਹ ਪੂਰਾ ਹੋ ਜਾਵੇ…Ghar De ਮੰਨ ਜਾਨ ਤੇ ਓਹਦੇ NaaL ਵਿਆਹ ਹੋ JaWe,. KamLi ਕਹਿੰਦੀ ਮੈਂ ‪ਤੁਹਾਡੇ‬ ਚਰਚੇ‬ ਬਹੁਤ ਸੁਣੇ ਆ ,,,ਮੈ ਕਿਹਾ Kamliye ਹਾਲੇ ‪‎ਕਾਰਨਾਮੇ‬ ਤਾਂ ਤੂੰ ‪ਦੇਖੇ‬ ਹੀ Nii. Aukhe Vele ਯਾਰ Da .. 4 Dinaa de Pyaar Da .. PATA Lagg hi Janda Hai! punjabi attitude quotes: punjabi attitude quotes in Punjabi Language are most popular not only in Punjabi community but also Punjabi whatsapp quotes are used by the Other group of people. 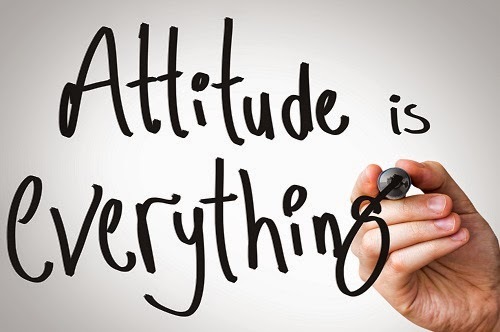 Today I am sharing with you the Punjab quotes about attitude, punjabi attitude quotes are posted in a form of list. .Punjabi Attitude quotes for whatsapp collection are given below as well. 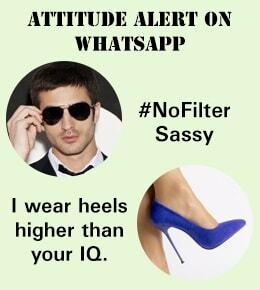 You can copy or download whatsapp punjabi Attitude quotes and use at your your whatsapp page. ਮੇਰੇ Yaara ਨੂੰ ਨਾ ਬਿੱਲੋ ਪਤਾ ਲੱਗ ਜਾਏ, ਤੇਰੇ ਭਰਾਵਾ ਨੂੰ Ni ਕਿੱਕਰਾ ਨਾਲ ਟੰਗ ਦੇਣਗੇ..
punjabi attitude quotes for Whatsapp.There are thousands of user want Punjabi quotes for whatsapp. Our site provides you the best , unique and top class Punjabi whatsapp Quotes. There are many sites on social media which punjabi attitude quotes but they Do not Provide Whatsapp quotes in Punjabi Language separately .you can find just Punjabi Gaint Love punjabi attitude quotes or Punjabi Song lined up. Whatsapp Quotes are also given at our site in a long list. We hope You will like our Punjabi Quotes in Punjabi Language at our fabulous and unique site and receive more punjabi attitude quotes. ਪੱਬ ਬੋਚ ਕੇ ਟਿਕਾਵੀਂ ❤ਦਿਲਾ ਮੇਰਿਆ ਅੱਗੇ ਪਿਆ ਕੱਚ ਲੱਗਦਾ….ਕੰਡੇ ਆਪਣੇ ਵਿਛਾਉਂਦੇ ਵਿੱਚ ਰਾਹਾਂ ਦੇ ਕਿਸੇ ਦਾ ਕਿਹਾ ਸੱਚ ਲੱਗਦਾ..
Punjabi attitude quotes are been used in our daily life from old times and even in modern world. We learned about how and where Punjabi attitude quotes can be used from our fore fathers and in daily conversation with our families and friends. Usage of Punjabi attitude quotes are very much in demand to show our current state of mind and convey our emotions to our love once, what we are not able to tell directly. Punjabi attitude quotes are the best source to express feelings but still in this fast pace life we don’t have that much time to go on different sites to find a right Punjabi attitude quotes. That’s why we offer you to visit our site to have a vast verity of Punjabi attitude quotes in one long list instead. We have all kind of emotional, sad, happy, angry, conflict, disagreed etc Punjabi attitude quotes at our web site. Please help your self with Punjabi attitude quotes there and do not forget to give us you feed back. We are looking forward to see how we can help you better finding Punjabi attitude quotes further more. Punjabi attitude quotes are fun to use and we want to make it even more interesting for you.